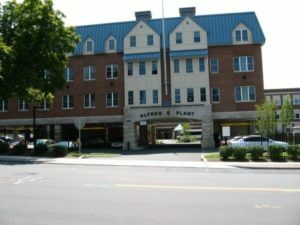 In the 1980’s, the West Hartford Housing Authority, a quasi-public entity, converted the former Plant Junior High School to ninety-five (95) units of elderly housing. In 2008, we represented the Authority to expand the building to accommodate forty-two (42) additional units. The project involved applications, including wetlands, zone change and design district to add forty-two (42) units to an existing ninety-five (95) unit low income elderly housing development at the former Plant Junior High School. In order for the Housing Authority to finalize and complete financing, the firm worked with the Town to acquire 20,000 square feet of adjacent unused town property to meet the necessary density requirement. The Housing Authority placed a conservation easement on the property to protect the property from future development. The Housing Authority held regular meetings with the neighbors and created a hotline for the neighbors to communicate issues directly with an Authority representative. In addition, the property is adjacent to an elementary school and the principal of the school was instrumental in providing guidance on construction hours of operation and traffic flow to ensure the safety of the students, which were incorporated in the final approval plans.